Ramen with homemade noodles at Nagoya in Medford. WHO’S IN CHARGE When Yang Huang, owner of Omoto Garden in Abington, set his sights on opening a restaurant on Riverside Avenue in Medford, he knew he wanted to cater to the tastes of young customers. It’s a challenge. 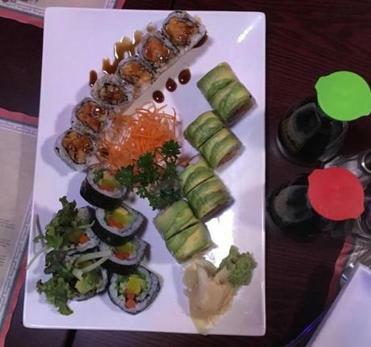 Medford’s small downtown has become a fertile ground for Asian cuisine, from the longtime Chili Garden (Chinese), to the year-old Sura, (Korean BBQ), to Blue Fuji, (organic Japanese and Asian), to the all-you-can-eat sushi newcomer, Nijiya Sushi. So when Nagoya Restaurant opened earlier this summer, Huang put the focus on sushi (with chef Eric Chen), American-style Chinese food, and ramen, steaming bowls of broth with noodles and additions of vegetables, tofu, and meat. Huang is particularly excited about the ramen because he has just installed a new noodle-making machine to insure it will have a fresh, homemade taste. THE LOCALE Behind its modest storefront, Nagoya stretches down a narrow hall to a more spacious dining room, sparely appointed with few flourishes. It’s pleasant but nondescript. Chen mans the sushi bar at the front; there’s an open kitchen just beyond. There’s plenty of parking in the area – if Medford could ever finish what seems to be endless construction projects. ON THE MENU Nagoya offers a range of sushi, sashimi, and specialty hand rolls; we sampled a caterpillar roll ($8.95), a sweet potato roll ($4.25), and a vegetable roll ($4.95), which were well-presented, fresh, and very tasty. ​A platter of Nagoya's caterpillar roll, ​sweet potato roll, and vegetable roll. The menu is extraordinarily expansive, with Japanese appetizers like gyoza and shumai dumplings ($4.95 to $5.50), tempura ($5.95 to $7.95), and teriyaki ($12.95 to $16.95). There are Chinese classics such as kung pao beef ($11.25), General Tso’s Chicken ($11.50), sweet and sour shrimp ($12.95), and chung king spicy pork ($10.25). We sampled the Nagoya crispy shrimp ($13.95) and — on the recommendation of our waitress — the pineapple chicken Hawaiian style ($12.75), with lightly battered chicken and fresh pineapple. Both dishes were flavorful if somewhat similar in taste. A diner sitting nearby, who overheard us asking for recommendations, insisted that we try the beef with mushroom chow yoke ($11.25). 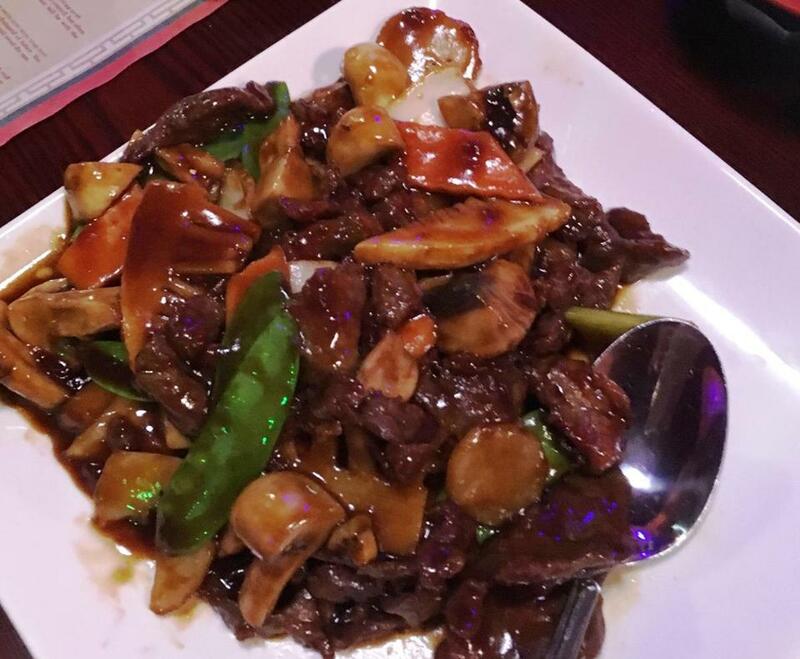 We can see why it was his favorite: it was a generous portion of savory, juicy, beef chunks in a rich sauce. We also sampled two of the 10 ramen dishes. First, a word about ramen: put those packets of dried noodles that you ate in college out of your mind; at Nagoya, these are bowls with taste, heft, and in some cases, a heated kick, ranging in price from $8.95 to $13.95. Huang’s recommendation was the Nagoya yakiniku ramen ($13.95), which we found to have a savory pork-based broth, chewy noodles, juicy slices of pork, and a spicy punch. Our dishes were served with mind-blowing speed and service was friendly. Nagoya may not yet be a standout destination, but it certainly adds to the growing proliferation of restaurant choices in downtown Medford. 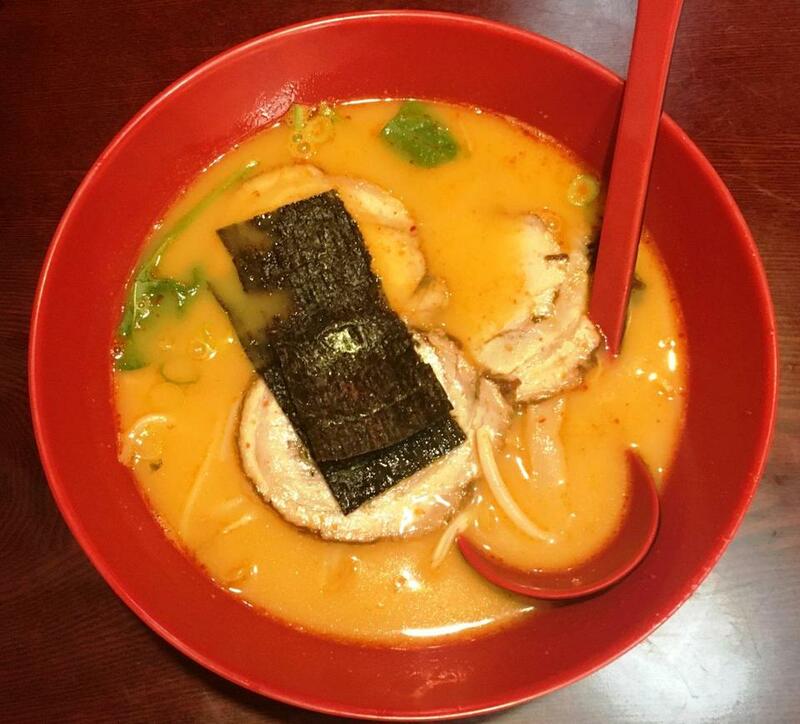 Note: Nagoya plans to offer free samples of noodles to diners on Sunday, Sept. 24. Nagoya Restaurant, 38 Riverside Ave., Medford, 781-391-7777, www.nagoyamedfordma.com. Beef with mushroom chow yoke was a generous portion of savory, juicy, beef chunks in a rich sauce.